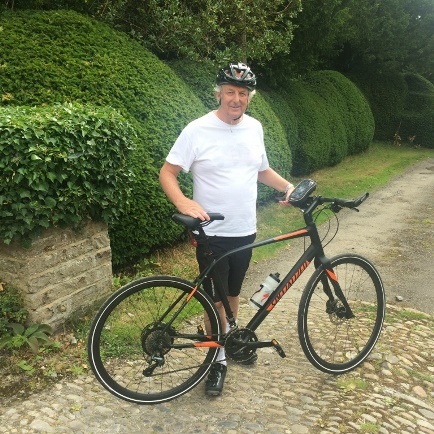 Nicholas Radford, chairman of the Nathan Furniture Group based in Todmorden, is taking part in a London to Bordeaux charity bicycle ride later this month, along with 25 other keen cyclists. Nathan Furniture manufactures quality cabinet furniture at Frostholme Mill in Todmorden. A team of 80 expertly craft dining, living and bedroom furniture made from oak and teak, available in over 200 quality independent retailers throughout the UK. This year, the company is celebrating its 100th anniversary. Despite changes in ownership over the decades, Nathan Furniture is one of the few brands that has been in almost continuous production since its beginnings in London in 1916. Nicholas Radford acquired Nathan Furniture in 2010 and moved operations to Todmorden, later followed by Sutcliffe Furniture and Morris Furniture Brands Ltd to form the Nathan Group. The bike ride is in aid of The Furniture Makers’ Company, a UK charity that offers help and education to students, makers, retailers, designers, business owners and employees in the furnishing industry. The charity helps to nurture skills and expertise within the industry, offering bursaries and apprenticeships to those in school and higher education. The organisation also provides support and help to anyone whose career has been affected or put on hold by an accident or illness. All of the riders have set themselves personal targets, aiming to raise a minimum of £1,000 each for The Furniture Makers’ Company. Nicholas hopes to reach his own target of £5,000 and enjoy the physical challenge. He said: “I’m looking forward to the bike ride enormously. I have never done anything like this before, but it is great to step out of your comfort zone once in a while to see what you are really capable of. Ben Burbidge, master of The Furniture Makers’ Company and managing director of Burbidge furniture, said: “This is certainly a very challenging bike ride which will see us averaging around 78 miles a day.